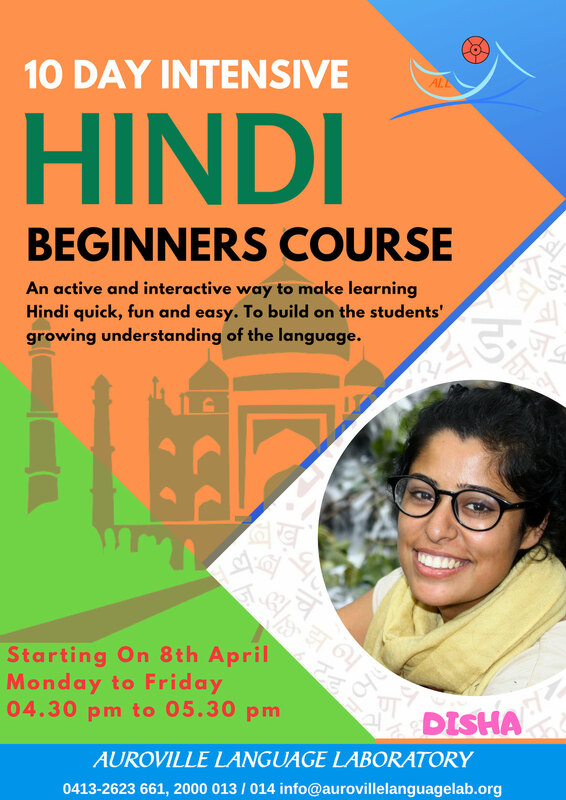 Disha is starting a 10-day Intensive Hindi Beginner class from 8th – 19th April. The classes will take place every day, from Monday to Friday from 4:30 pm to 5:30 pm. It will be an active and interactive way to make learning Hindi quick, fun and easy. Day 1 and 2 will be spent to initiate student's familiarity with the sounds and pronunciation of the Hindi language. Day 3, 4, 5, 6, 7 and 8 will be spent to build on the students' growing understanding of the language. Day 9 and 10 will be interactive and focus on building a reference material/guidebook for the students' personal use. Pronunciation of the Hindi language. Disha will then translate the questions and help with their proper pronunciation. This will become source material for the students: a self-created and self-written document they can carry with them and refer to whenever needed. Interested people, please contact us. 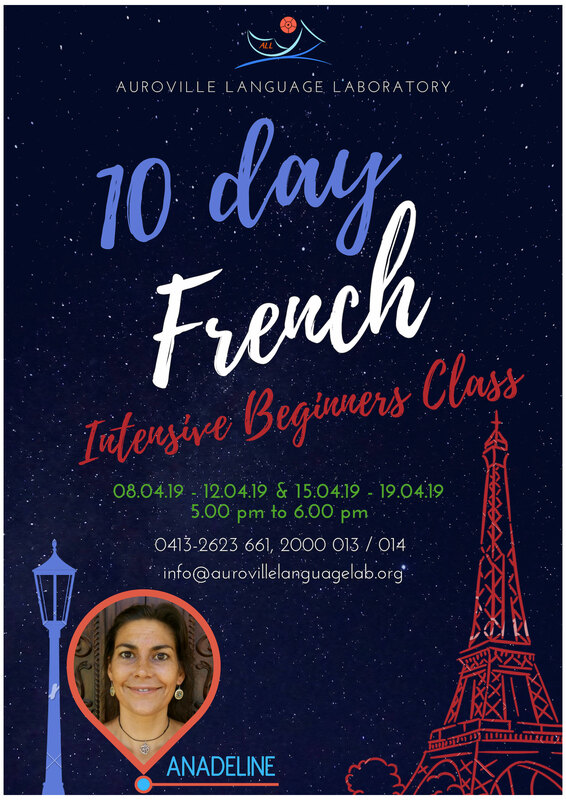 Saravanan is going to start a new batch of the Ten-day intensive Tamil Beginner class. The classes are on Mondays from 10:15 am to 11:15 am and on Thursdays from 01:15 pm to 02:15 pm. The starting date will be informed by email or phone once we get enough students registered. New students are requested to fill out the form and register BEFORE attending any classes. We have excellent university-level video and audio study materials and software in our Mediatheque, which enable self-study in various languages. Spaces will open up for the Tomatis listening training programs for individuals for language learning and therapeutic/well-being purposes from the week starting 09th April. It is used for children, teenagers and adults - for people of all ages. It is wonderful for improving concentration and memory, reducing stress and anxiety, as well as release of creative potential. It helps with depression and lack of confidence. It also helps with hyperactivity and attention deficit disorder. It can help with all problems related to communication and expression. It is wonderful for various kinds of learning disorders. It helps with language delays and developmental delays as well. It can also help with tinnitus and certain kinds of hearing loss. And of course, it helps to learn languages faster. It is based on a lifetime of research by Dr. Alfred Tomatis and his wife Mrs. Lena Tomatis, into the connections between the ears, the brain and our nervous system. The program is intensive, involving listening sessions through special headphones for 2 hours a day, Monday-Friday. The length of the program varies and depends on the need and time you have available. Full-fledged programs take between 3-5 months with listening sessions separated by breaks. Shorter programs of 1 week and 3 weeks are also possible. The first step is a “Listening Test” (different from an Audiogramme/Hearing Test) which is the basic diagnostic tool, followed by a Consultation. These can be scheduled by sending an email to tomatis@aurovillelanguagelab.org. If you want to simply “try it out” and experience a listening session, you can come to the Lab on Saturdays from 10am-12, but please book beforehand, by sending an email or calling beforehand.